If you are a commercial vehicle driver that requires a DOT physical in Corona del Mar, California, or any surrounding area, you can receive everything you need from Vital Urgent Care. We are a walk-in urgent care center that provides additional services, such as DOT examinations, to better serve our customers. You can rest assured that you are in good hands with us, because our doctors are Yale-trained, Board-Certified, and fully licensed to perform physicals for the Department of Transportation. 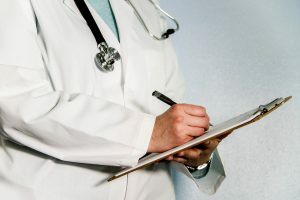 Medical history review – Before your exam, you should fill out the top portion of your DOT physical form, where you can indicate whether or not you have experienced issues such as a heart attack or stroke, just to name a few. Then your physician will review these and explore the implications of each. Physical examination – Our qualified doctors will test your eyesight and hearing, check for spinal or neurological issues, and listen to your heartbeat and lungs to determine if there are any underlying physical problems that would deter you from passing your exam. Document completion – After the medical review and physical examination, your doctor will complete a DOT physical form, detailing any issues that may or may not prohibit you from passing the physical. For more information about what to expect from your DOT physical at our conveniently located medical facility just outside of the Corona del Mar area, contact Vital Urgent Care today. If you are interested in scheduling an appointment, be sure to take advantage of our ZipPASS online check-in system, which allows you to pick the next available time and date that is most convenient for you.